Marsouin is a research network in social sciences created in 2002 by the Britany Regional Council (France). It gathers scholars from the four universities of Bretagne and three prestigious schools. Marsouin consists of 16 labs, working on digital practices. About 200 scholars specialized in social sciences in the West are part of Marsouin. The network works on scientific projects supported by the ANR, the MSHB, territorial authorities or other public and private actors. Marsouin is an active member of the World Internet Project. It is a collaborative international project which includes countries from all the regions of the world. The WIP conducts detailed research, generates a wealth of publications and holds annual conferences looking at the impact of these new technologies. For those reasons, Marsouin is a research network composed of experts in digital technologies and its societal impacts. Its uniqueness lays on the networking of multidisciplinary teams in human and social sciences. They share the same interest in studying how digital tools are transforming our life and society. Marsouin gives its members the opportunity to pool their tools: their methodological skills in one hand and a financial support for the research on the other hand. Click here to download the english presentation brochure. Omni couples academic resarch topics and surveys to produce original and meaningful analysis. Methodology. Building questionnaires, sampling, through quotas to guarantee representativeness. Rigorous and up to date sampling in depth questionnaires. Content. Pre-test, pilot studies, users needs. Treatment. Cleaning database, statistical analysis (cross and frequency tab) specific treatment, multivariate analysis (typology, factorial analysis), econometrics. [Interview] Aliakbar Akbaritabar, Iranian visiting scholar in Telecom Bretagne. Are social networking sites a way to improve social capital? 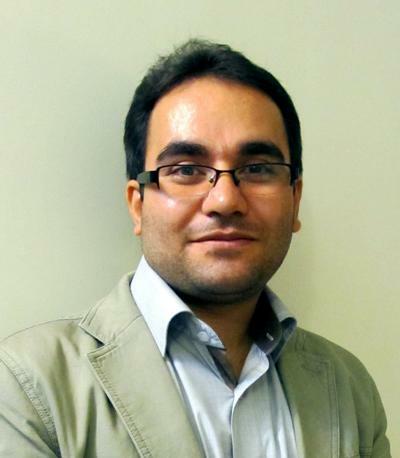 Aliakbar Akbaritabar is a visiting PhD student from Allameh Tabatabaei University, Tehran, in LUSSI department of Telecom-Bretagne (Brest), one of the research centers part of the M@rsouin Network. His PhD thesis deals with Social Capital embedded in Online Social Networks. In order to analyze this “virtual social capital”, Aliakbar has developed an application (Social village) aiming at gathering data from Facebook/Google+ users’ account. You can see (and spread out !) English, French and Persian versions of the application here. Aliakbar kindly gave us an interview in which he describes the purpose of his research and of his visit to LUSSI, one of the research centers part of the M@rsouin Network. Lire la traduction de l’interview en français. Social Interactions vs Revisions, What is Important for Promotion in Wikipedia ? Social Interactions vs Revisions, What is Important for Promotion in Wikipédia ?